If you’ve never checked out the remastered and upgraded version of Star Trek: The Original Series, you are seriously missing out. All the old effects got a snazzy facelift, which diminishes some of the show’s more dated or cheesy elements. The print itself has been restored to gorgeous quality, and it’s frankly amazing how good this nearly 50-year-old show looks. Now’s the perfect chance to grab up The Original Series on Blu-ray, because Amazon has the set of all three seasons marked down a whopping 77% today, leaving the price at $75.54. These sets have always been a bit pricey, so around $25 per season is a steal. Even better, the sets are positively packed with bonus features, making this one of the better deals we’ve seen Amazon offer up in a while. 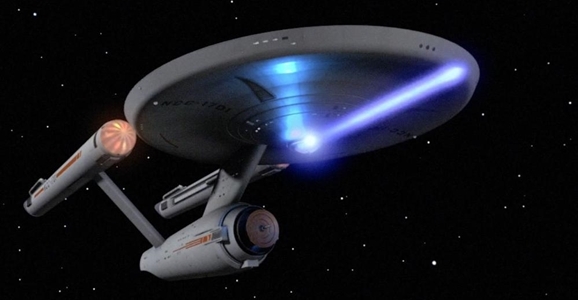 You can add Star Trek: The Original Series to your collection right here. Fans have been picking sides on the whole Star Wars/Star Trek divide…well, pretty much as long as the two of them have existed concurrently. We here at GFR side with George Takei in insisting that we should all just get along and enjoy them both, but every once in a while the urge to kick the anthill over becomes too powerful. 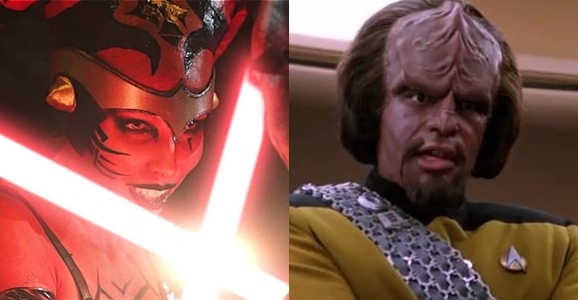 So today we’ve got two fun fan videos, one each for Wars and Trek. They’re both very different, so this is really like comparing apples and oranges, but screw that, we’re encouraging hot-headed partisan bickering by sticking a poll down at the bottom so you can vote for your favorite. Let the Great Feud continue! First up is Mr. and Mrs. Smith, featuring the Defcom United Stuntteam from Germany. We’ve seen tons of amateur lightsaber videos over the years, ranging from the briefly infamous to the downright epic. This one isn’t the most impressive lightsaber duel you’ll ever see, but it earns extra points for keeping its sense of humor. I won’t spoil the surprise, but if you ever wondered what passes as foreplay (Forceplay?) among Dark Side users, this should answer your question. Do you have plans for your next big vacation? Well, if you’re looking for an international getaway with some serious geek overtones, we have a destination that you definitely have to consider. We’re talking about a new Star Trek-centric theme park in Spain that is scheduled to be completed by the end of 2015. According to StarTrek.com, Plaza Futura will be a part of Paramount Park Murcia, which is located approximately 270 miles southeast of Madrid on the Mediterranean coast at Alhama de Murcia. From the description this is going to be one hell of a destination. Broken up into a bunch of different sections, the new addition is going to have a little bit of everything. It will feature everything from condos, hotels, and offices, to shopping centers, restaurants, a casino and nightclubs, and even a convention center. And then there’s the actual theme park. It’s hard to believe we’re almost at the finish line. 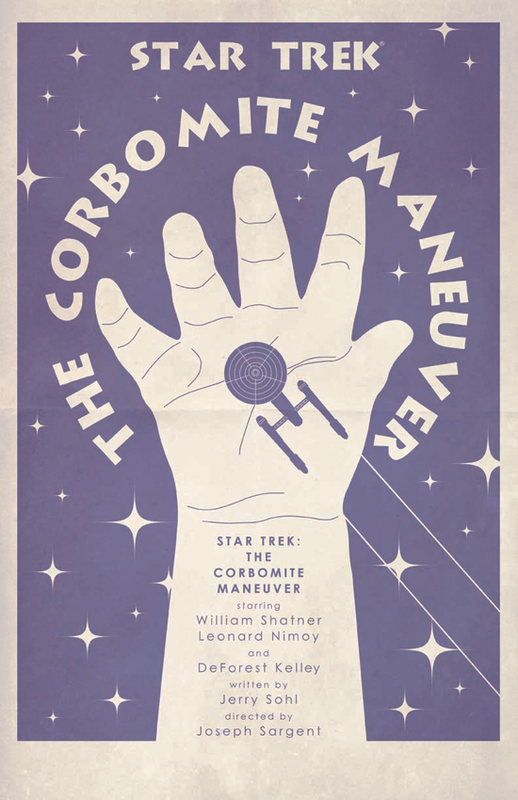 Back in August 2012, artist Juan Ortiz was a man on a mission: to create an original, retro-style poster for every single one of Star Trek’s Original Series episodes. Over the ensuing year and a half, Ortiz has experimented with style, color, and visual shorthand to present a truly remarkable collection of art that any Trekker should be proud to wallpaper their home with. Now StarTrek.com has posted the latest batch, along with sad news…it’s the next to last group of the posters, meaning the project will reach its end in March. There have always been a fair number of viewers that tune into the Super Bowl specifically to see companies unveil their latest and greatest commercials. Advertisers like Bud Light even spend weeks building up to the day, teasing their new ads (this year it was those commercials with Arnold Schwarzenegger in short shorts and a wig playing ping pong). During the game on February 2, soft-drink giant Coca-Cola unveiled the ad that has garnered the most public attention this year, though not for the reasons they initially hoped. More on that later. The spot features people singing “America the Beautiful” in a variety of different languages. This new video imagines some of proposed tongues that didn’t quite make the cut. This video originated at Garlic Jackson Comedy, which is a suitably wacky name for what we can assume is a wacky bunch of folks. Who else starts a comedy troupe? Some of the languages that they think the Coca-Cola executives summarily rejected are things like pig latin, dolphin, morse code, and my personal favorite, bear attack. Who knew bear attack was a recognized language? You can’t really blame them for passing on most of these, after all, there aren’t that may people who are fluent in hieroglyphics, and the whole thing sounds significantly less warm and fuzzy in Klingon or Dothraki.